The choice of philosophy underlying an ideal environmental law is perplexing. The story of human civilization is also about human being’s confrontation with nature and his /her exploitation of nature and its resources. So an environmental law could be anthropocentric. At the same this nature belongs to all living beings in their natural environment and hence an environmental law should promote the peaceful co-existence of all living beings on planet earth. This is called the eco-centric approach. Since human beings are the authors of these laws, there is every possibility of the whole gamut of environmental law showing anthropocentric shades. Or a middle path is achievable between these approaches? Substantive environmental law seems to attain this objective. But implementation of environmental protection norms leaves a lot to be desired. The quality of environment and damage to it continue to exacerbate. Analyzing environmental law when human greed reaches its zenith could be an interesting and important exercise. This article tries to do the same. Intention of this article is to assess the nature of environmental law changes that are pursued in the aggressive free market period (what critics call as neo-liberal) period. The whole world plunged into a free-market mode after the Washington Consensus 1989, a reforms package prescribed by the Washington based institutions, the International Monetary Fund (IMF), World Bank and US Treasury Department, for the crisis-ridden developing countries. The recommendations included policies for economic stabilization, opening of economy for international trade and investment and expansion of the market forces within the domestic economy. The state has to maximize the freedom of both real and juridical individuals. Collective agendas should not be imposed on people. Neo-liberals emphasize not just the rights of individual but the responsibility of individual’s to find his/her own ways. Neo-liberal policies were projected as an alternative to fascism, communism and Keynesian welfare –state idea, which advised state intervention in the market and in several aspects of people’s daily lives (Ilari Nikula, 2017). Suddenly every individual has become a potential entrepreneur and liability on environment. A production spree was imagined by neo-liberalism. Everything including the nature was supposed to be commodities. The proponents of neo-liberalism were aware of the fact that environment would be the biggest causality in such an economic atmosphere. To address this problem a new idea like ‘green developmentalism’ was mooted which took a formal form in the United Nations Rio Conference on Environment and Development in 1992. The idea was to build an ideological base to pursue unbridled development without (at least to declare so) unduly pressurizing the environment. That is how the idea sustainable development was born. Two legal instruments produced by the Conference attest the argument that Rio-Conference was a neo-liberal initiative. The Convention on Biological Diversity (CBD) disseminates an idea that biodiversity is owned by the state and genetic resources can be exchanged for commercial (sustainable) use. The Framework Convention on Climate Change (UNFCCC) puts forward the carbon trading mechanism whereby it is emphasized that market mechanisms can solve environmental problems. Despite displaying these neo-liberal qualities the Rio Principles appears to be reasonable. Thoughts such as sustainable development (keeping the environment for future generations as trustees), precautionary approach (will be discussed later) and access and benefit sharing of genetic resources etc. convey that the negotiators were really concerned about the environment. It may be due to fact that at international conferences different interests are represented by groups who do their homework, though industry voices has an upper hand as everywhere. No doubt exists that Rio Principles are an improvement upon the Stockholm Conference Principles, 1972 which generated a world-wide pro-environment attitude in the 1970s and 80s. The trinity of IMF, World Bank and World Trade Organisation (WTO) dictate the neo-liberal agenda at the international level. Of these three institutions, World Bank and WTO co-opt the environmental slogans including sustainable development. Now there are two bodies of international law - the other being WTO agreements and jurisprudence having an environmental angle. Discussion centres around synchronizing international environmental law with WTO laws. Whether this will result in the dilution of international environmental law is a question that remains to be answered. environment including forests, lakes, rivers and wildlife and to have compassion for living creatures”. 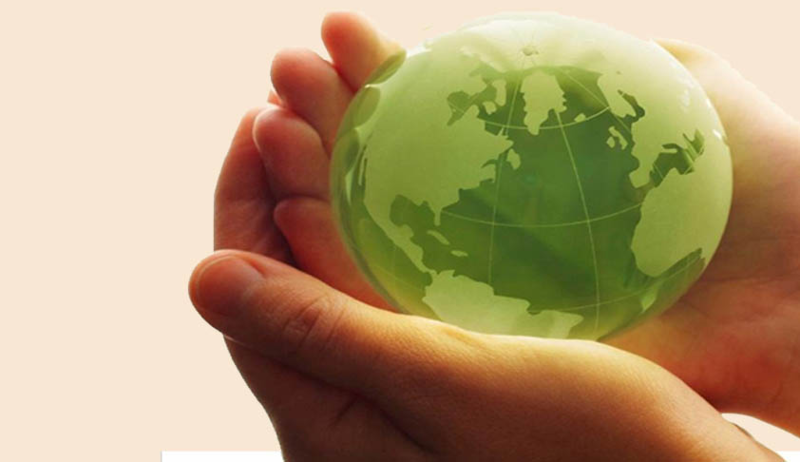 All major and important environmental legislations in India were enacted to fulfill its international commitments under Article 253 of the Constitution. Further, the Supreme Court in numerous cases held that right to life under Article 21 includes the right to live in a healthy environment. During the first two decades after the New Economic Policy, no need was felt to tamper with the environmental laws in the country. Nevertheless there were complaints from all quarters, proponents, activists and authorities, that implementation of the environmental laws in the country has been pathetic. May be a reason why authorities did not feel the need to alter existing laws. But the regime which assumed office in 2014 (even the one before that) believed that the brutal mandate it received in General Elections was for its promise to follow aggressive free market philosophy too. The Prime Minister’s assurances on ‘ease of doing business”, Make in India project and canvassing of foreign investors, all hinted at what to follow in terms of environmental law. Writing on the wall was clear, for attracting foreign investment and encouraging a free market, a benign legal regime for environment was needed. The follow-up measures had begun within months after the new government took charge. Preparations to amend the environmental laws in the country kickstarted in August 2014 with the appointment of VK Bhasin, a former Law Secretary. as a consultant. The very same year, a High-Level Committee under TCSSubramanian was appointed to look into forest and environmental laws. The Committee recommended a ‘simplified, streamlined, unified and transparent’ project approval process regime with aim of conservation and speeding up the process of project approval. The Committee expected the whole exercise to make easier doing business easier in the country. The Committee felt that though the country boasts of strong environmental policies and laws (suggested amendment of six environmental laws), problem lies in the weak implementation of law. Environmental management bodies were suggested at the Centre and state levels. An ‘environmental reconstruction cost (to fit together with the project) has to be realized as a cess or duty to during the lifetime of the project (High-Level Committee Report, 2014). The Committee’s recommendations intended to change the present compliance regime into a managerial exercise with a speeded-up project approval process. All this should be done with the aim to making doing business easier in India. In such a scenario no need to guess who/ which could be the causality? The environment and population depending on this environment would be the biggest causality. A Parliamentary Standing Committee found that the High level Committee did not hold ‘enough and adequate public hearings to elicit public view and its recommendations would lead to ‘multiplicity of institutions and authorities with little strength, power and capacity’. The standing Committee recommended for the appointment of another committee by following established procedures comprising established experts. It should be given enough time to hold consultations with necessary stakeholders to deliver creditworthy recommendations which were not the case with the High Level Committee (Parliamentary Standing Committee, 2015). Though it is not publicly known what the government has done with these committee reports. It seems that the government selectively adopted the High Level Committee Report which formed the basis of Draft Environmental Laws (Amendment) Bill, which was publicized in 2015 inviting comments. Centre for Policy Research and Namati team though RTI process obtained a 2016 version of the bill and accompanying documents. This is the latest version of the draft bill available in the public domain. A Draft Note for the Cabinet (April 2016) makes the following observations regarding the present Environmental Protection (EP) Act, 1986: The state of environment has deteriorated over the years because EP Act lacks deterrent provisions. Under the Act either the economic activities required to be stopped or penal action instituted and there is lack of minimum imprisonment and the fine of Rs. 1 lakh is insufficient. No provision is there to elaborately assess the damage. Criminal proceedings take a long time. The Act has no provision to bind a person whose performance is minor in nature but having serious cumulative impacts. Introduction of graded civil liability provision based on polluter pays principle will have more effectiveness in implementation process without hampering the developmental process. Defaulters should pay for environmental restoration without always facing the threat of closure. (Draft Note for the Cabinet (April, 2016). Under the 2016 draft, for violating any provision of the proposed act or order issued under it, a minimum of Rs 10,000 and maximum of Rs 2 crore penalty is prescribed. An officer not below the rank of joint secretary or equivalent will be an adjudicating officer or officers. The violator should be afforded a reasonable opportunity to being heard. An appeal can be preferred to the adjudicating authority. For default or contravention, which causes environmental pollution a penalty ranging from Rs. 50,000 to Rs. 10 crore is stipulated. For micro, small or medium enterprises, there will be lesser penalty. Appeal can be moved to the NGT after depositing 50% of the penalty imposed. All penalties should be credited to the Consolidated Fund of India. If substantial damage to the environment is caused, imprisonment ranging from one to seven years and a fine not less than Rs. 1 crore will be the rule. Continuing offences are to be dealt with a fine which can extend Rs. 50 lakh every day during which pollution continues after conviction for causing such causing of substantial damage. It is criticized that the proposed amendments could legalize violations and will reduce environmental regulation to mere managerial-ism. Loss of farm productivity, prolonged exposure to toxicity, damage for the laborers and residents in the vicinity, migration of affected people and long-term problems like drought and floods are the issues associated with environmental disasters. The proposed bill view is from the environmental pollution angle only. (Manju Menon et al., 2017). Capable, especially corporate, violators can pay and continue polluting despite the provision for penalty for continuing offences. These proposals would take away the deterrence associated with penal liabilities as imprisonment is mandated only for substantial damage. Blinded by the goal of economic growth drafters fail to realize that closure of polluting industries also have a deterrence value. In fact the attempted dilution of environmental laws started even before 2014. Ministry of Environment, Forests and Climate Change (MoEFCC) issued Office Memoranda (OM) on 12-12-2012 and 27-6-13 to legalize all environmental projects which started functioning without obtaining prior environmental clearance (PIC) and those projects which expanded production beyond environmental clearance. These notifications provided for a six months window for clearance and process for environmental clearance of such projects. The object was to save proponents from the penal consequences of violations. The National Green Tribunal (NGT) quashed these notifications and held that Environment Impact Assessment notification 2006 provide for PIC. So no procedure can be laid through OMs for post environmental clearance. An Office Memoranda could not amend a notification which is a subordinate legislation. Consequently, the Ministry issued a notification on 14.3.2017 to bring all such projects in line with existing environmental law. (Press Information Bureau, MOEF&CC, 2017). The judiciary too is taking sides with the regularization issues in other instances. In the DLF apartment case the Supreme Court dismissed concurrent findings of violations of the Coastal Regulation Zone notification, by single and division benches of the Kerala High Court. The apex court found fault only with the proponent starting construction on a deemed clearance without obtaining actual clearance. So a penalty of Rs. 1 crore was slapped (Manu Sebastian, 2018). The NGT Act 2010 prescribes the qualification, appointment and terms of office of the members of the NGT. The Central government enacted the Finance Act in 2017 to determine inter alia the qualification, appointment, terms of salaries and allowances, resignation and removal of the Chairperson, judicial member and expert member of Tribunals. Department of Revenue, Ministry of Finance issued (on 1st of June, 2017) a notification called the Tribunal, Appellate Tribunals and Other Authorities (Qualifications, Experiences and other conditions of service of Members) Rules. The political executive preferred the delegated legislation route fearing resistance from opposition parties and environmental groups. Ritwick Dutta in his Live Law article portrays the full import of this enactment and notification. (Ritwick Dutta, 2017). Now neither the Chairperson of the NGT need not be a judge of either the Supreme Court or High Court, nor does he/she need to have a legal background. Qualification of the judicial member and expert member also stand diluted. The notification lowers the status and remuneration of members, especially judicial members of the NGT. Obvious attempt is to indirectly bring the NGT under the MoEF&CC. Without any doubt NGT is the most important environmental court in the country. The Central Government’s aim is to indulge in nepotism and create a pro-development attitude in the Tribunal and there by manipulate decision-making. Fortunately, at present the constitutional validity of the Finance Act is being challenged before the Supreme Court. Forests have immense environmental value. Deforestation and dwindling area of forest in the country is matter of grave concern to the country. The apex court has contributed a lot in the management of forest used for developmental purposes. (P.Leelakrishnan, 2016, Chapter 3). Along the lines the Parliament passed the Compensatory Afforestation Fund Act (CAF Act) in 2016. It provides for setting up the Compensatory Afforestation Fund Management and Planning Authority (CAMPA) at both central and state levels to ensure prompt and transparent utilization of amounts realized in lieu of forest land diverted for non-forest purpose. The huge sum of money credited to the Fund reveals the rampant nature of deforestation in the country. The legislation reduces the hardships of the communities’ dependant of natural forests to a monetary value. The CAF Act extends forest bureaucracy “unchecked powers to undertake plantations on private and common property resources” for afforestation. The compensatory afforestation approach has poor ecological and social consequences and breeds corruption (Chitrangada Choudhury, 2018). The CAF Act is a perfect no-liberal instrument which is built up on the premise that forest can be destroyed for non-forest uses and with the money charged for afforestation (unfortunately the apex court developed the concept of Net Present Value) artificial forest can replace natural forests. But it is impossible to recreate all types of biodiversity that were part of a natural forest. It will take at least fifty years to know the effectiveness the afforestation programmes. The environment and social damage that could be caused by then is beyond human calculations. The High level Committee proposed to declare to forest with more than seventy percent canopy as ‘no-go areas’ (no developmental activities). This also could mean that forests which are not so dense can easily be obliterated. Science cannot give definite answers always. Precautionary approach or principle demands that in the advent of scientific uncertainty regarding consequences of a particular action, it is better the action be postponed (till there is scientific certainty) or abandoned. Burden of proof shifts to the proponent for showing that a project is safe. In other words, it is often said that “it is better err on the side of caution”. The Rio Conference introduced precautionary approach to the world. It gained much momentum since its introduction and the approach has grown up to a stage now that debates are going on whether the approach is a customary rule of international law. The Supreme Court had accepted both polluter pays principle and precautionary principle as part of the Indian legal system in various decisions. But in India the approach has no statutory backing. The EP Act preceded the birth of the approach as a concept but law makers could have managed the approach’s inclusion in the statute book through amendments. The Biological Diversity Act, 2002 surprisingly omits precautionary principle as a guiding principle. The industry and corporate are wary of the approach’s potential to shelve projects. Even the National Biotechnology Authority Bill introduced in the last Lok Sabha session as part of India’s commitments under the Biosafety Protocol 2000 (precautionary approach is a central theme of the Protocol) failed to incorporate the approach. No further evidence is needed to recognize the clout of the industry in a neo-liberal period. Albeit sustainable development being an anthropocentric approach and a neo-liberal product, the concept is best the available balancing act till today between two conflicting phenomena, environment and development. Sustainable development has to be the minimum standard against which developmental activities have to be evaluated. Everyone swears by sustainable development but its operation in actual life remains problematic. This is exactly what is happening with environmental law reforms in India. The draft EP Act amendments try to equate environmental liability with financial liability. Regularization attempts of violations and Compensatory Afforestation Fund also seek to prove that environment and forests can be restored with the help of wealth. It is a perfect illustration of neo-liberal belief that wealth can solve almost all problems. Law makers are missing an opportunity to produce an all encompassing environmental liability law carrying elements of penal, civil and closure liabilities and compensation for communities adversely affected without compromising on restoration objective (if damage is minor). For damage which is irreversible (even when scientific evidence is uncertain), there must not be any environmental clearance. Neo-liberal age believes in the infallibility of science in solving problems. But we are witnessing a period in which more and more questions are posed against mainstream scientific consensus by a minority who belong to the scientific community. Here comes the importance of the precautionary approach. Though the approach basis in the norms set by the judiciary, there is continued reluctance to slot in it in statutes. To further the purpose of sustainable development precautionary approach must be given statutory recognition and be scrupulously observed in practice. However the prospects this approach prevailing are bleak. More environmental laws are waiting to be ‘reformed’ if the High Level Committee recommendations are considered as a signal. The story is just beginning. Author MK Sanu is an Independent Researcher.